What are the pros and cons of self-managing your rental property? One of the most apparent pros is saving money by not paying a professional property management company. But do you save money when you self-manage your rental property? Did you know many property owners spend more when they self-manage? Specialized Property Management Fort Worth is here to fix that; we want you to make the best return possible on your rental investment. Your Fort Worth property management company want you to be aware of these common self-management pitfalls landlords can fall into. Letting small maintenance problems turn into costly issues. Running into legal actions as a result of not knowing housing laws. Paying retail prices for repairs and equipment. Dealing too emotionally with tenants leading to possible vacancies or evictions. Losing money by not pricing your rental correctly. Not having efficient processes in place for rent collection, maintenance, and inspections. 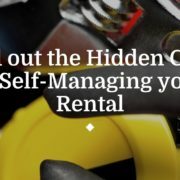 Now that you know the hidden costs of self-managing, how do you find the right property management company? Do your research on each company in your area to find out what services they offer. If you are going to spend money on a property management company you need to be sure they will take care of every last detail. Some management companies promise low rates but don’t perform all the services you need. Pick a company with local experts. Finally, find a Fort Worth property management company with trustworthy vendor connections, so you never have to pay retail prices for repairs and equipment. Specialized Property Management Fort Worth is a full-service property management company with a team of experts who can turn your investment into a success. With years of experience, connections in the business, and proven processes you know you can trust our property managers to take care of your rental property from A to Z. And you may be surprised at how much money you save by hiring professionals who cut costs without cutting corners. To hear about all the services we offer and schedule a free rental consultation call Specialized Property Management Fort Worth today! As a landlord, you have to think about your home as a business investment. However, many landlords are not aware of the complexities of owning rental property, which puts their investment at risk. An experienced, professional Fort Worth property management company can help you minimize mistakes and protect your investment. Your Fort Worth property management company knows owning a rental home is a full-time job. Marketing, maintenance, and rent collection are just the tip of the iceberg when it comes to property management. 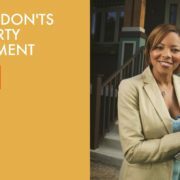 While not an exhaustive list, here are a few property management dos and don’ts you should keep in mind as a landlord. Being unaware, or simply forgetting one of these dos and don’ts can mean costly fines or long vacancy times at your property. A quality, experienced property management company like Specialized Preperty Management knows the ins and outs of property management and can help you avoid costly mistakes. The list of dos and don’ts can be a lot to remember for any landlord, especially if being a landlord is not your full-time job. Specialized has been in the business for almost 30 years because landlords know they can trust us with their investments. From screening tenants to inspecting and maintaining your home, the Ft Worth property management at Specialized have everything covered. To hear about all the services we offer give us a call today! Your Fort Worth property management company knows that making your home look good before potential tenants arrive will decrease the number of vacancy days. 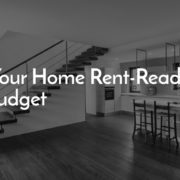 But how do you make your home rent-ready on a small budget? Big projects aren’t always needed to bring in new tenants, and some small upgrades will even allow you to charge higher rent. Check out these low-cost, high-impact ways to make your home appealing to potential tenants. Tidy up outside. You don’t need to invest in a big landscaping project but remember the front yard and door are the first things your new tenant will see. Trimming trees and bushes, planting a few flowers, repainting the front door, and adding a welcome mat will go a long way to making your tenants feel at home. Repaint or touch up inside. Paint is a low-cost way to refresh any room. If you don’t want to repaint the whole house consider painting high traffic areas such as the kitchen or entryway. Touch up any spots where paint has chipped. Replace broken appliances. This step costs a bit more than the others, but can have a huge impact for potential tenants. Many old appliances are finicky and inefficient, but when you add new appliances tenants know you care about their comfort. Clean and maintain. While it may seem obvious, cleaning and maintaining your rental home is a top priority when making your home rent-ready. Replacing light bulbs, cleaning dust from baseboards and air filters, shampooing carpets, and other once-in-a-while cleaning tasks should be done before any potential tenant visits the home. Need a Fort Worth Property Management Company? Specialized Property Management has almost 30 years in the business and is one of the industry leading Ft Worth property management companies for a reason. 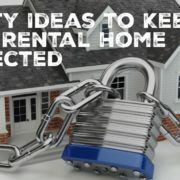 Landlords can rest easy knowing their properties are taken care of at every step, and making your home rent ready is no exception. We are known for decreasing vacancy days which increases your income. To hear about all our property management services give us a call today! Home maintenance is a large part of any household budget, and when you own a rental home it is no different. How does that look over the course of a year? Each season brings its own unique maintenance tasks and your Fort Worth property management company, Specialized, is here to remind you what those are. Spring cleaning! When the weather turns warmer and the flowers begin to bloom, take some time to clean items you only clean periodically. This could include deep cleaning rugs or changing air filters. Get your air conditioning unit serviced to make sure it is in good working order before the dog days of summer. There is no denying Fort Worth summers are HOT! If you didn’t already, make sure you get an air conditioning tune up. This is not only for the comfort of your tenants. A broken air conditioner is expensive and could be an emergency depending on how hot it is when it breaks. As the weather cools down it is time again to turn your attention again to cleaning items you only clean periodically. Just like spring cleaning your Ft Worth property management suggests Fall cleaning! The more you stay on top of small cleaning tasks the longer your property and its systems will last. Get the heating system checked to ensure it is in proper working order. Although ice and snowstorms are rare, they do happen and you need to be prepared. Take a walk around your property and cover any faucets that may freeze when temperatures drop. Bring inside any items that can’t handle freezing temperatures or shouldn’t be covered in snow. As your Fort Worth property management company we want to make sure your home is taken care of. If you need any more suggestions on caring for your rental home in all seasons, or want to hear about our services, call Specialized today. Tenant screening is a corner that many landlords feel they can cut. It makes sense to think “this person seems nice enough, they have a job, what could go wrong?” And it is certainly true that the faster you place a tenant in your rental home the faster you might see the rent checks coming in. But at Specialized, we know the dangers of careless tenant screening. We are here to remind you just how important it is, and how you can go about screening potential tenants. When you place a tenant in your rental home you are trusting them to make their rent payments, but how do you know if you can trust the applicants? While it is true that there may be unforeseen circumstances for even the best tenants, you can be sure to save a lot of headaches by thoroughly screening your applicants. A careful screening of their background, credit, and rental history can give you peace of mind that you are leasing to someone who will take care of your home and has a record of trustworthiness. That is why the top Fort Worth property management company recommends screening every applicant before they sign a lease. Requiring an application for tenants over 18 years old. Verifying combined tenant income that is at least three times the rental rate. Avoiding tenants with evictions and judgments, and asking for an explanation of late or unpaid payments. Verify past two years of rental history and make contact with previous landlords to ask if there was any major damage while the applicant lived there. Comply with all anti-discrimination laws and fair credit reporting act during the screening process. Your Specialized Team’s Ft Worth property management can help you expedite these processes so you can place a quality tenant as soon as possible. Give our office a call today to learn more about all our services.